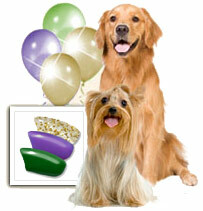 Party dogs will enjoy letting their fur down on Fat Tuesday with our Mardi Gras Combo. 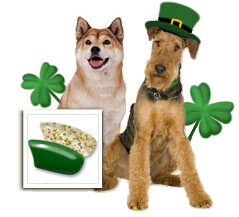 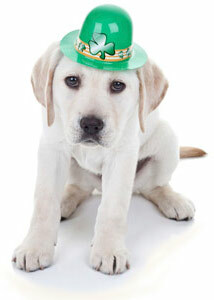 On St. Patrick's Day, every pup can say, "Kiss me, I'm an Irish Setter," while wearing green and gold Soft Paws. 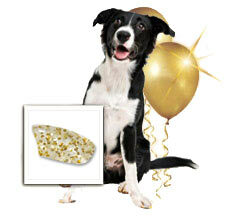 Your pup will sparkle with pazzaz in these Gold Glitter Nail Caps from Soft Paws. 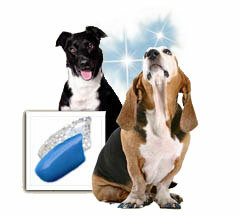 Your fashionable pooch will be ready to dance under the stars in these beautiful blue and silver nail caps.